Many thanks to all of you who have passed on your best wishes for the continued development of this modest site for Vertue enthusiasts. We have had dozens of emails from all over the world, from owners and past owners, boat builders and prospective purchasers. It is clear that we now need to develop further by producing a regular news post to share some of the images and stories that keep arriving. We hope that this will become an entertaining and informative hub for all things Vertue. Worldwide contacts have included news of six of the boats currently based in Italy, three in the Netherlands, five on the east coast of the USA and three more in France. Near to home, five of the boats currently based on the English east coast are Owendo, Hussar, Chinita, Maid of Tesa and Drumler. Here in the southwest three boats are based on Plymouth Sound, Serif, Virtue Fidelis and Hippo, with the Grace having a major refit in an old stone barn not far away. Coincidentally, one of the highest concentrations of English based Vertues lie within five miles of where I sit now, near the lovely River Dart. 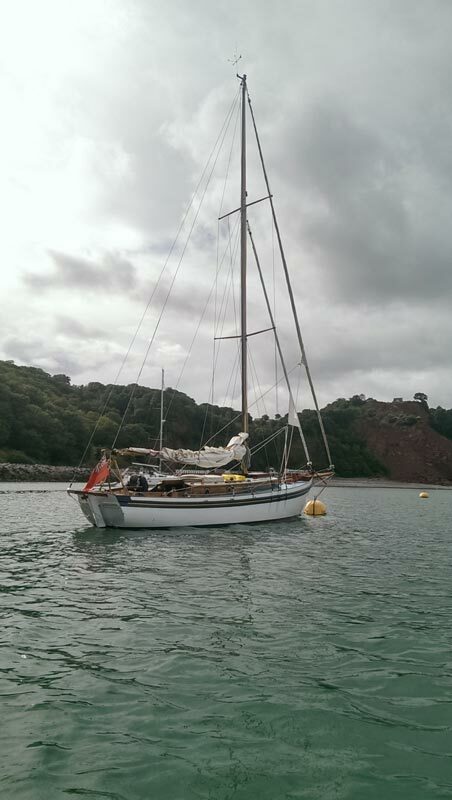 Andrillot, V1 has come over from her usual mooring on the River Exe for a refit in Old Mill Creek. Francolin, V6 is having some fairly major work done up the river in Totnes. 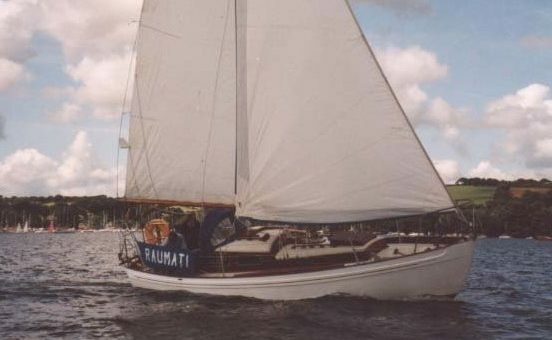 Caupona, V8 is in commission in Dartmouth, together with Pamela Jean, V54. Meanwhile the deep refit of my own Raumati, V112 is continuing in a Dancover tent only ten minutes away along the winding Devon lanes. We provide Links to several of the excellent blogs currently being published by individual boat owners but our aim is to provide more of an information resource to everyone interested in the class. Factual accuracy is paramount in this and perhaps we will be able to publish an update of Peter Woolass’ wonderful book ‘VERTUE’ in due course. 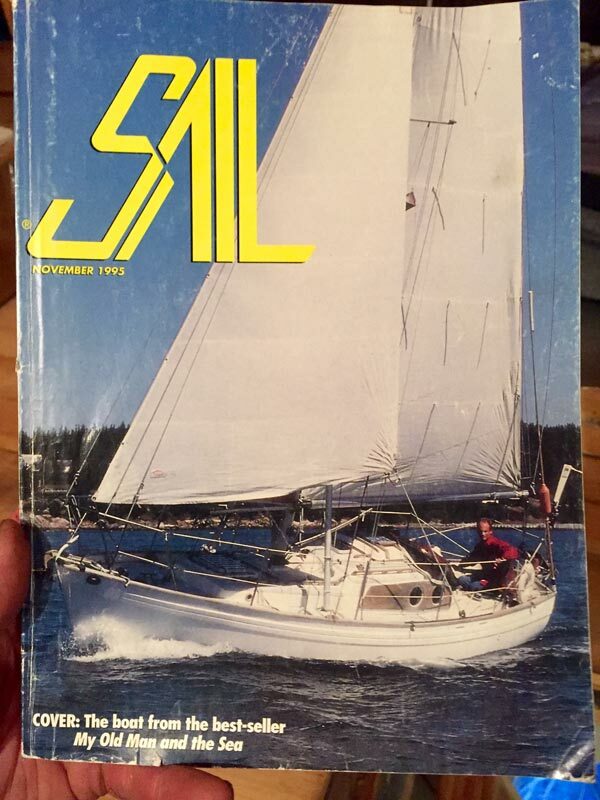 Peter also published an excellent account of his single-handed transatlantic passage with V120 ‘Stelda’ in 1969 which can be found in our Books section. Stelda is still probably based in Hull, and Peter’s daughter tells me she is planning to put together an exhibition about the voyage to celebrate its half-centenary. One of the fascinating features of the Vertue Class is the diversity of detail in each of the boats and way in which the design developed over the years. We believe that the grp ‘Vertue II’s’ are still ‘Vertues’, just as much as their strip planked or cold moulded sisters. But even the grp, ‘series produced’, vertues illustrate a surprising variation in their layout, coachroof design and quality of construction. Clearly the most celebrated grp vertue is ‘Sparrow’, the boat that David and Daniel Hayes doubled the Horn with, and I was recently delighted to receive an email from Daniel with some outstanding images of the boat. Here is one of them, and we’ll put the others up alongside Sparrow’s entry under the GRP Vertue II’s section. See their remarkable book ‘My old man and the Sea’. W will be sharing more of your contributions next month, as well as putting up details of Vertues that are currently for sale around the world (although we don’t intend to become brokers!). 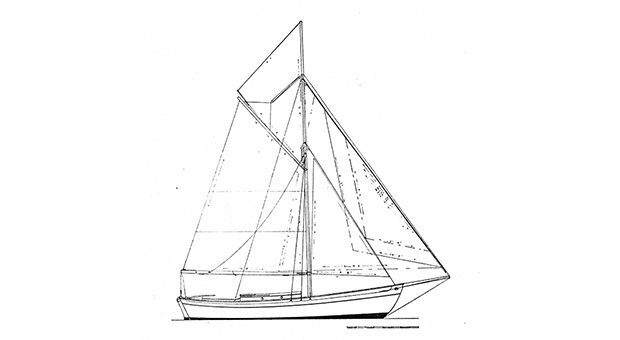 We also have plans to include copies of Vertue related magazine articles, more on the history of how the design has developed, and illustrations of related boats such as Kalliste, Eric Hiscock’s Wanderer II and the Lymington ‘L’ Class. So we hope that you will find some entertainment within these pages and please continue to send us any information you have about past and present Vertues. We’re delighted to be launching this new website with information about the Laurent Giles designed Vertue Class of small cruising yacht. As well as some essential background detailing the History and Design of Vertues and their creator Laurent Giles, at the heart of the site we have started building a database of known Vertues. This database, which you can find under ‘The Boats‘ will include images, videos, stories, basic technical specifications and, should the owners wish, contact information so that fellow Vertue owners and enthusiasts can get in touch with each other. We are already in touch with a number of Vertue owners all over the world and hope to widen the scope of this communication. With this in mind, we very much invite input from both current and past owners of Vertues, as well as from other interested people. Still to come, we’ll be building a bibliography of published material on all aspects of Vertues, including books and magazine articles, and adding to our Links page with addresses of other Vertue-related sites around the web. 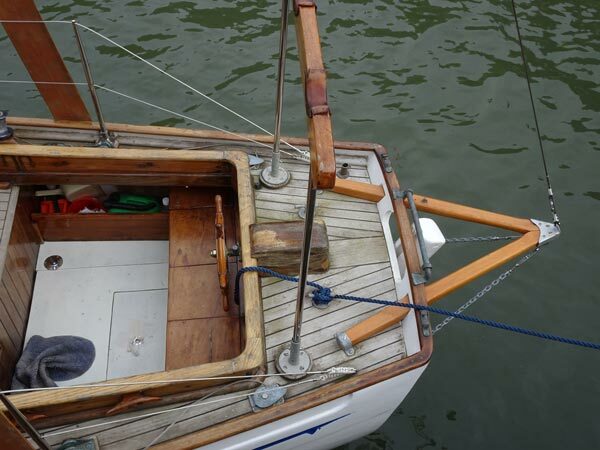 We hope that our enthusiasm for these fantastic boats comes across and inspires some new connections with Vertue owners around the world, and that the site will remain interesting and entertaining for many years to come.